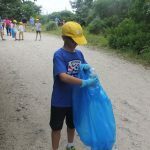 Groton – About 40 youth from Mystic Aquarium’s summer camps joined representatives of the Long Island Sound Study and Connecticut Sea Grant in a cleanup at Bluff Point State Park on Aug. 1 to launch a social medial campaign to get people to “break the single-use plastic habit” and help protect the Sound’s wildlife. The Please #DontTrashLISound social media campaign will run for seven weeks this summer, from Aug. 2 to Sept. 14. 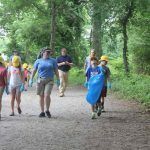 Building on the success of last year’s #DontTrashLISound campaign, which drew more than 80,000 participants, this year’s campaign focuses on single-use plastics and the hazards they pose to the Sound’s wildlife. Disposable bottles, bags, straws and other plastic waste pollutes beaches, wetlands and gets into the estuary, where wildlife get tangled in it or ingest it as it breaks up into small pieces. 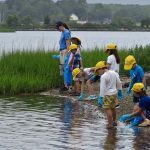 The campaign is being led by the Long Island Sound Study, a partnership of the Environmental Protection Agency, Connecticut and New York agencies and nonprofit groups, including Connecticut Sea Grant. During the campaign, people will be encouraged to quit using plastic straws, lids and stirrers and to switch to reusable shopping bags and water bottles instead of disposable ones. 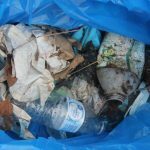 Facebook and Twitter posts will highlight the amount of plastic already in the marine waters, the harm it causes to wildlife and its longevity in the environment. 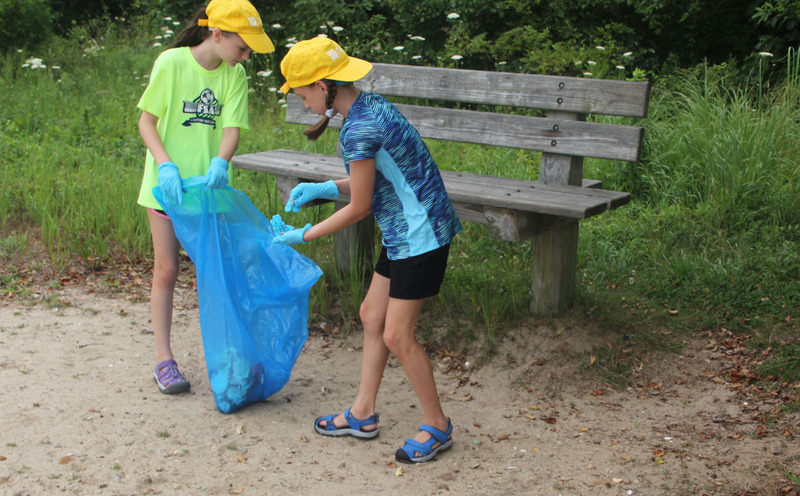 During the cleanup, the campers found many items made entirely or partially of plastic, including water bottles, fast-food drinking cups, cigarette butts, bits of packaging and cutlery. After the cleanup, the campers received colorful stickers being given out as part of the campaign. 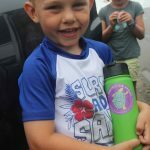 With pictures of Long Island Sound wildlife and the “Break the Single-Use Plastic Habit: Protect Our Wildlife” messages, the stickers can be attached to reusable water bottles and bags. People are encouraged to share photos of themselves holding items with the stickers at: #DontTrashLISound and #LISound. Judy Benson is the communications coordinator for Connecticut Sea Grant. 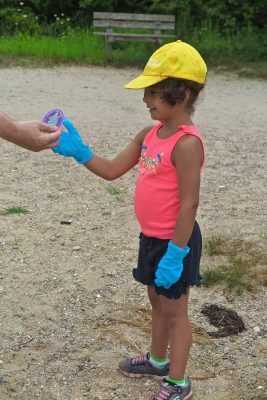 Single-use plastic bottles and lids like those collected by Mystic Aquarium summer campers are the focus of the #DontTrashLISound campaign. 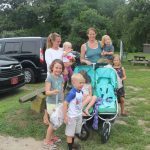 This entry was posted in News and tagged 2018, Coastal Resources, Connecticut, Long Island Sound, plastics, pollution, Sea Grant, single-use plastics.